We create guitars using aluminium, milled with 5 axis CNC technology from a solid block of aluminium to the highest standards. 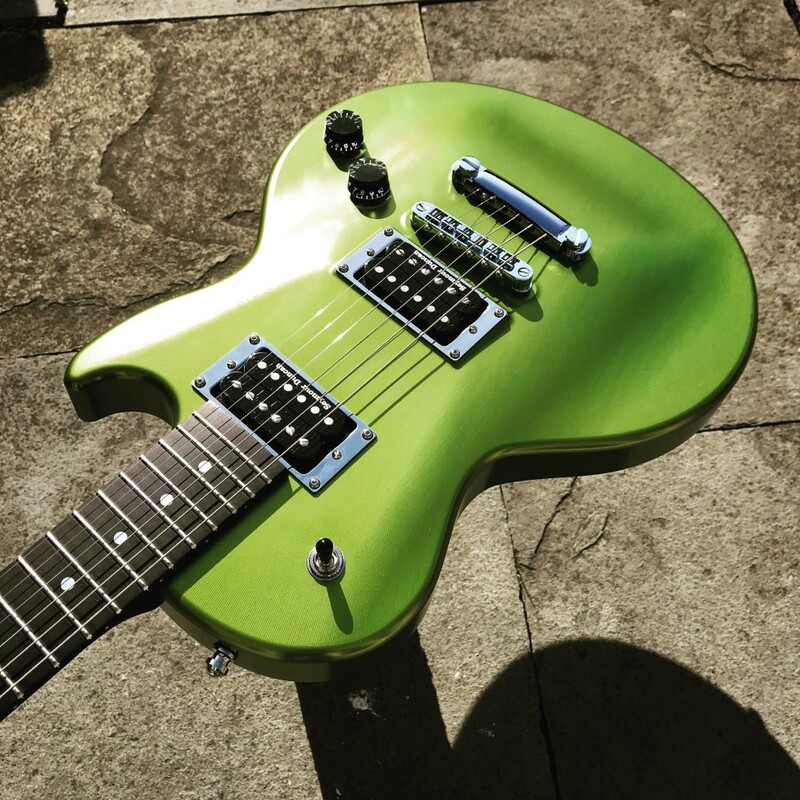 We take our inspiration from classic curves that guitarists have loved for over 60 years. Our ambition has always been to build a guitar that was not just 'another guitar'. 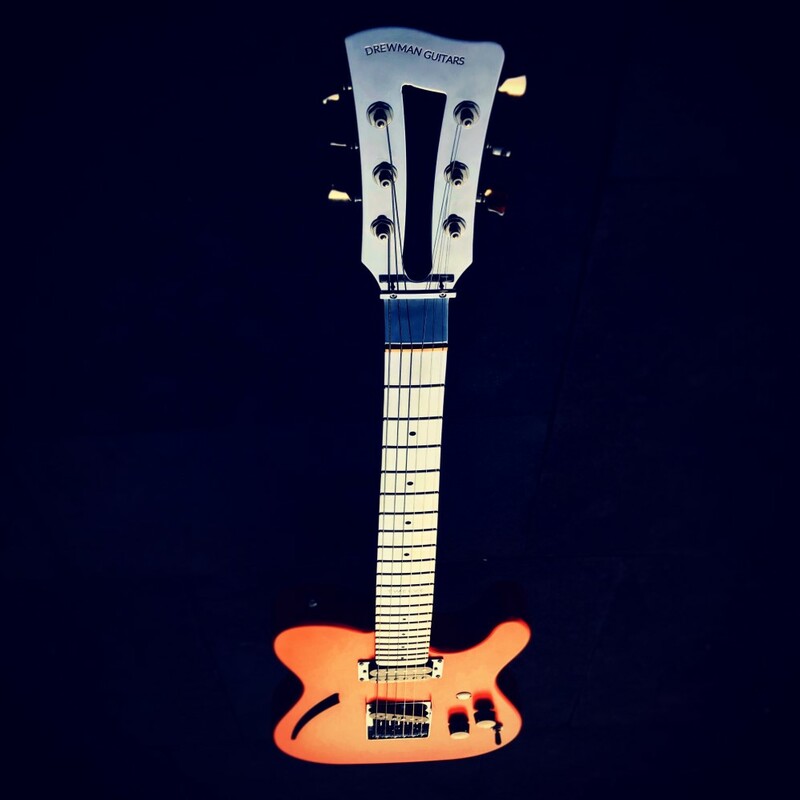 We sell complete instruments and we also make our aluminium guitar bodies & necks available to project builders. 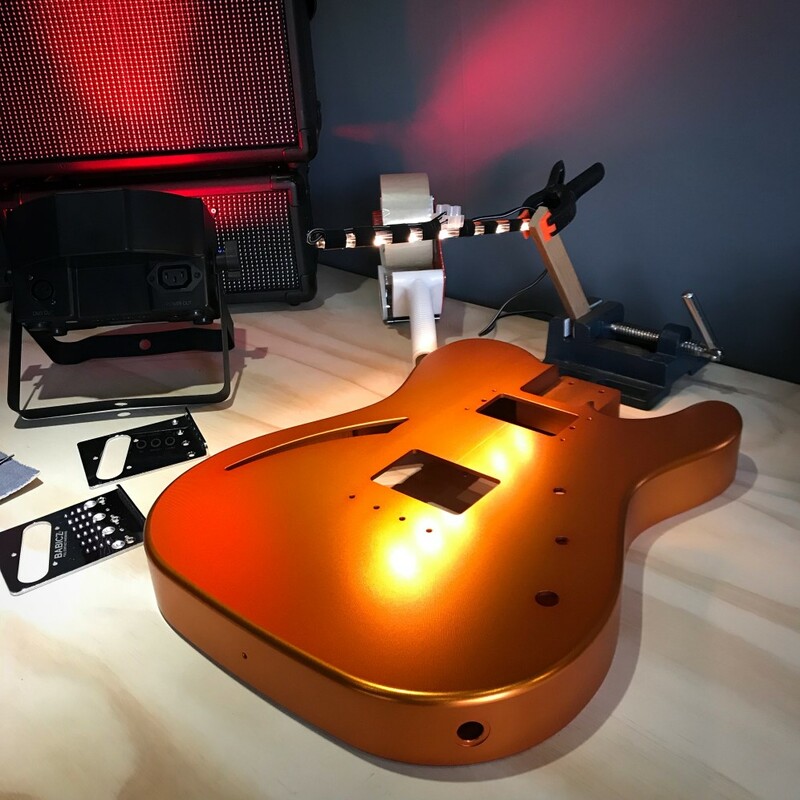 The guitar bodies are milled with either a radial burst or they are bead-blasted and we anodise our bodies to protect them either with a clear coat finish or in a variety of available colours. The necks are mirror polish finished. The D1 single cut 'arch-top' was our first creation, closely followed by our 'T' style model DT (which will soon be available as a left handed version). The 3rd model in the range will be our model 'DJ/D3' which will take it's inspiration from the 'Offset' classic body shapes. 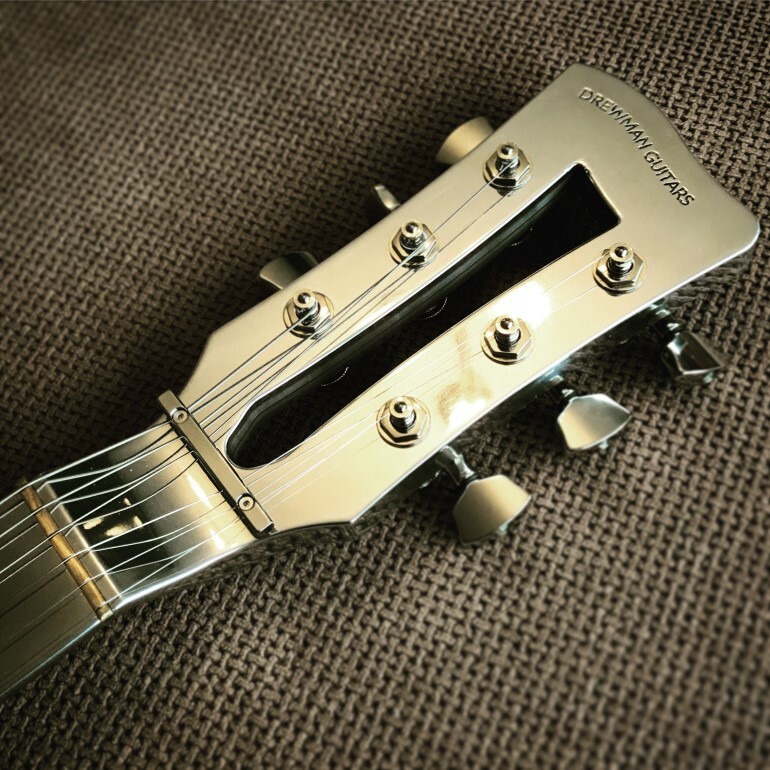 The Drewman aluminium 25.5" scale neck is also now available to order with either a square or round heel. Milled from a single billet of aluminium they weigh just 1.80Kg (3lbs 15oz) for the D1 and 1.85Kg (4lbs 2oz) for the DT. Milled from a single billet of aluminium and weighing less than 4lbs our 25.5" scale necks come with either a round or square heel. The aluminium bodies are always anodised in either a clear coat or with a dye colour, the necks are all mirror polished. We sell guitars with wooden necks, aluminium necks, beautiful archtops, classic historic shapes, quality hardware and finishes. Average price for a complete guitar is ~£2000 GBP. 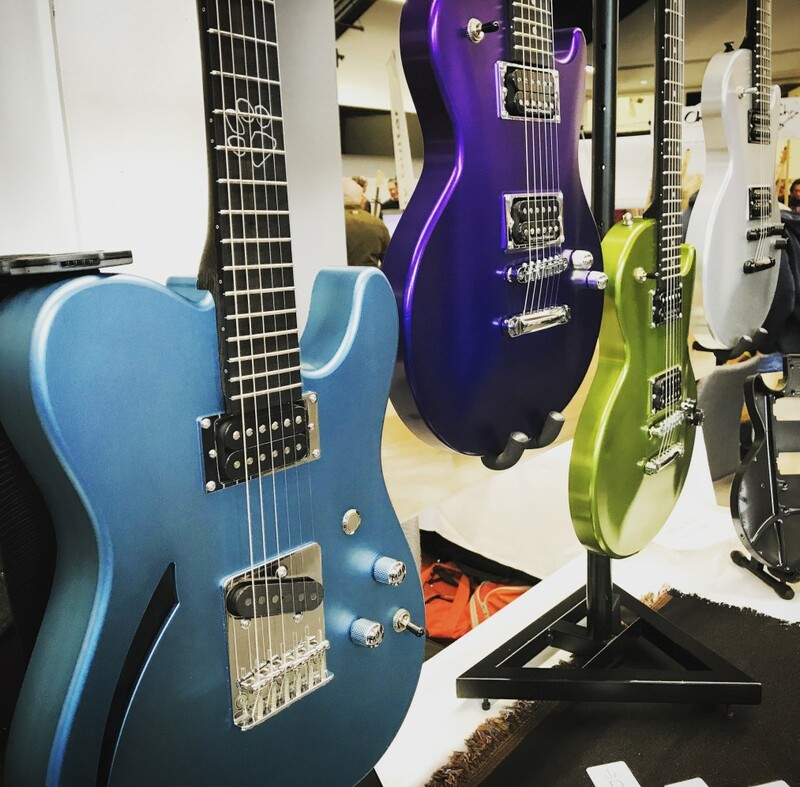 Request a special colour, choose a shape, grab yourself an aluminium neck; whatever you need to complete your next build. 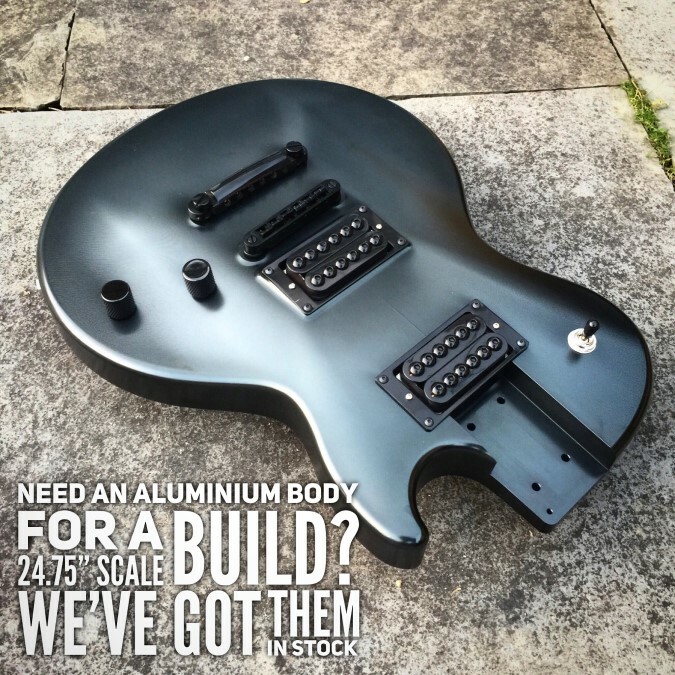 Bodies are £900 GBP, Aluminium necks are £750 GBP. 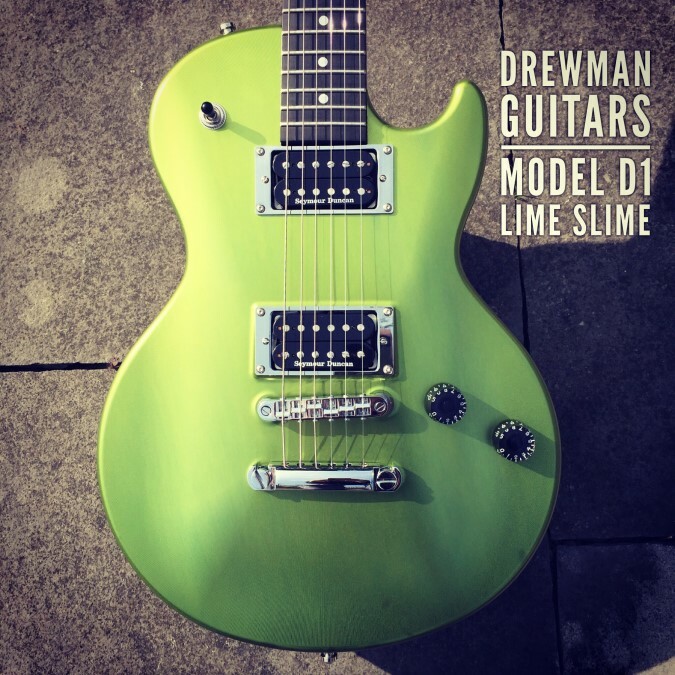 We've got plans here at Drewman; 28" scale baritone aluminium necks, offset aluminium bodies, left-handed guitars. We often run surveys to see what people want next. "...this thing makes all the right noises, I like the way it looks, well done"
Steve also did a short video for us which you can watch on our YouTube channel here. "Just arrived! I spent 15 minutes playing them with Andy from Drewman Guitars and the sustain is off the charts. Congrats on an incredible product.."
Niko has produced a great review video for Drewman which you can watch on our YouTube channel here. "Thanks a lot Andy, I hope I did it Justice! Really enjoyed playing it, sounded great in the room and hopefully that came across in the video." 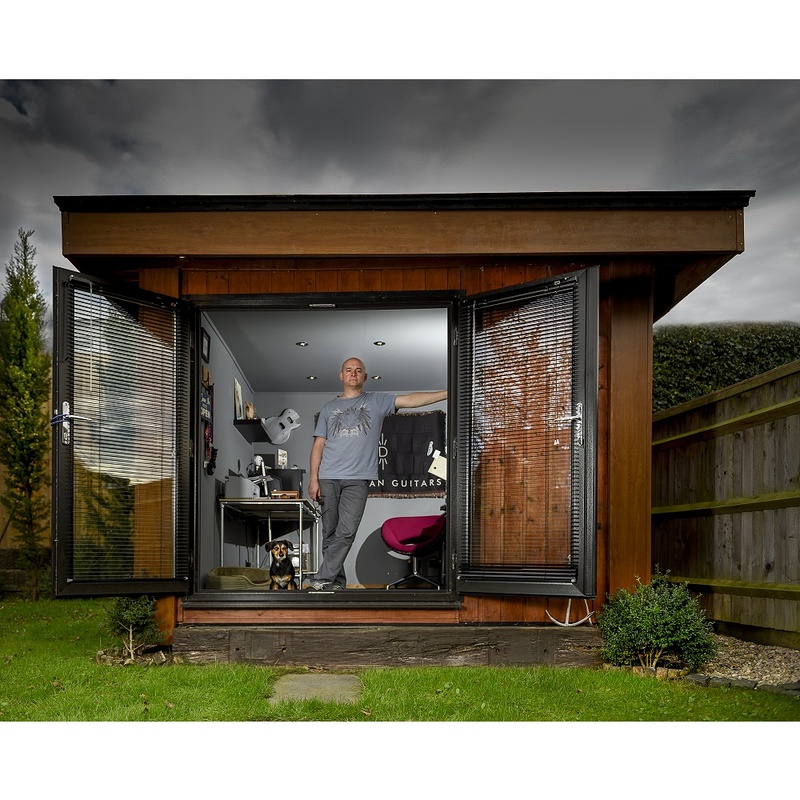 Toby did a full demo video of our model DT for us which you can can watch on our YouTube channel here. "This is Geekery of the finest and utmost level." 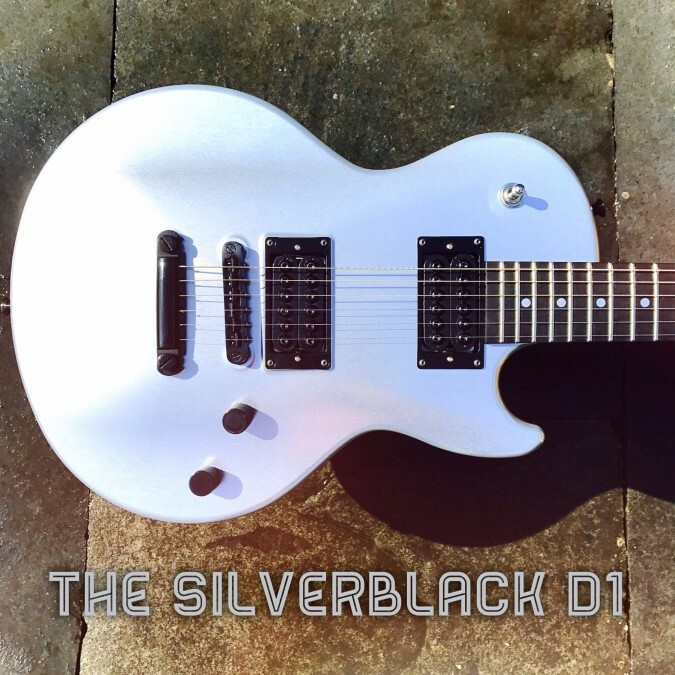 "Other than something that I've build myself this is the first premium guitar that I've ever owned"
Ben has been hugely supportive of our products, he made a fantastic unboxing video which you can see here. 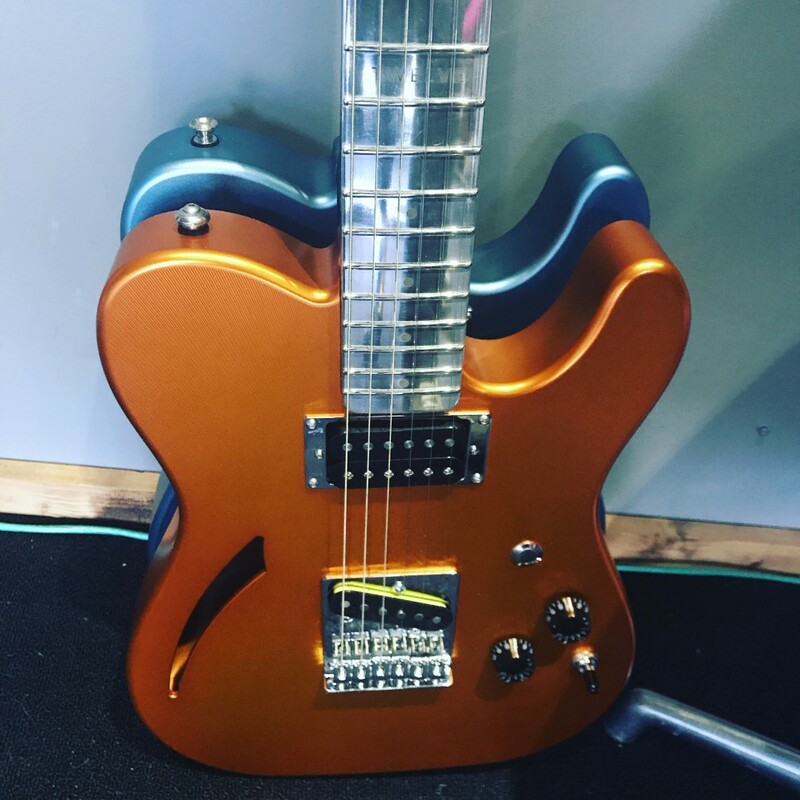 "This guitar has quickly turned into my favorite sounding instrument that I own, it's got a great full bodied tone and the sustain is unbelievable. I've also never played a T type before, it is just so comfortable." "Very accommodating, answered all my questions in a timely manner, quick shipping and was one of the best purchases I’ve ever made. The quality, craftsmanship, fit, finish and included hardware (which is needed for this) was all included. Amazing!!!" 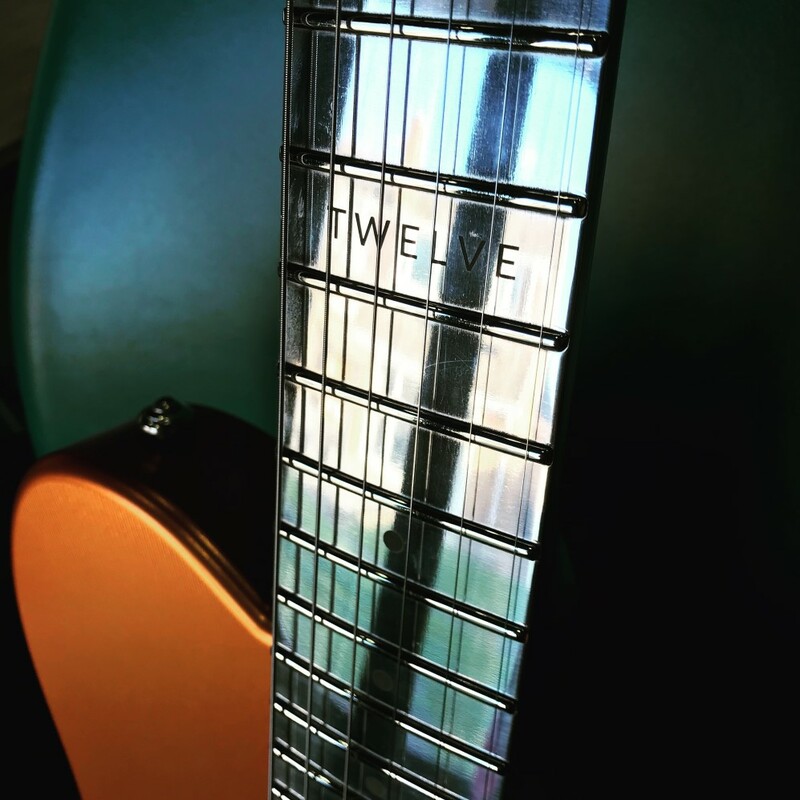 "I’m really enjoying the Drewman [Aluminium] neck. It adds a LOT of extra frequency response that causes the amp to go into overdrive and it helps when playing with a buddy; different voicing. Everyone’s impressed by it." Please Note: Under General Data Protection Regulation (GDPR) Drewman Guitars must state that the information you submit via our contact form will only be used to respond to your enquiry and subsequent enquiries you may have with us. Please be assured that you will not be added to any marketing mailing lists. Our Privacy Notice is available here.